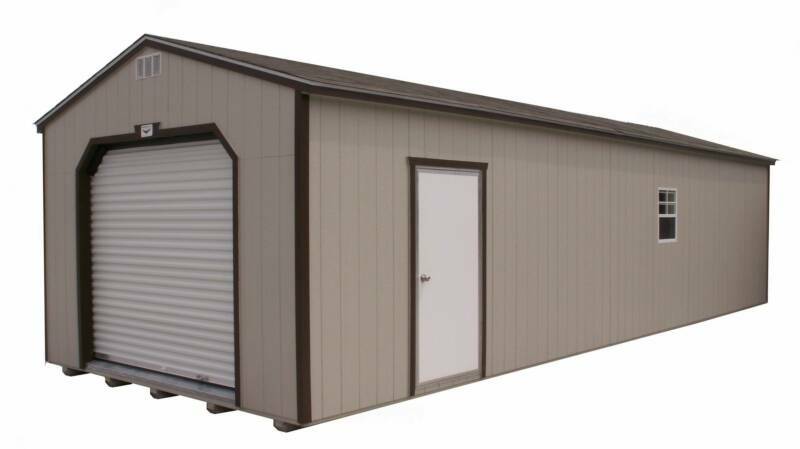 The Garage was designed for those who need an affordable, portable shelter for their vehicle, golf car, ATV, or large lawn mower.. It also works well for those who enjoy woodworking, tinkering, or simply need a larger hobby shop. Standard features of the Garage are 8' sidewalls, an 8' x 7' roll-up door, 1- 36"x72" insulated walk door, 1 large window, and a 3/4" T&G water resistant flooring. Since it includes all these high quality features, you can even park your car inside this sturdy Garage! Note: Because of the Roll-up door, The Garage is not guaranteed mouseproof. 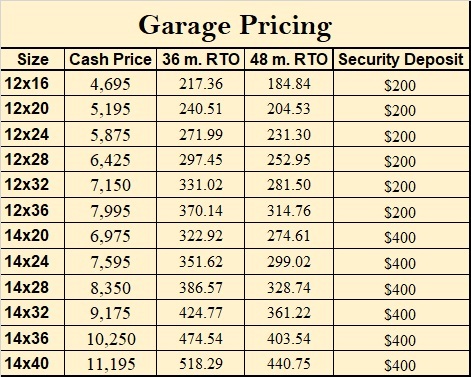 Order your Portable Garage today! NOTE: Footprint of 12' and 14' wide buildings are approximately 6 inches less than stated width.